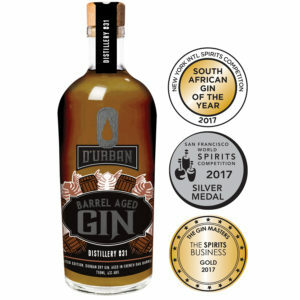 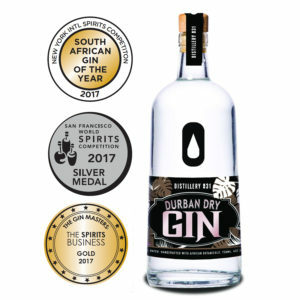 This Six Dogs classic dry gin was created using botanicals such as freshly cut lucerne (Alfalfa), hand-picked rose pelargonium (geranium) and the blue pea flower, which gives the gin its striking blue colour. 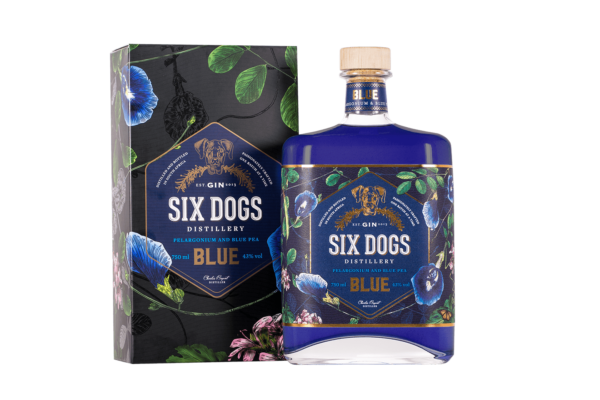 Six Dogs named this gin Blue, not only because of this key ingredient, but because it’s also the name of the smallest dog in its pack of six. 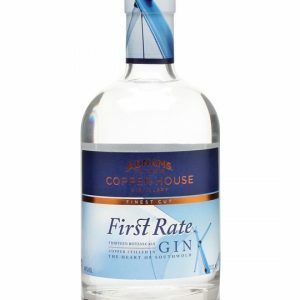 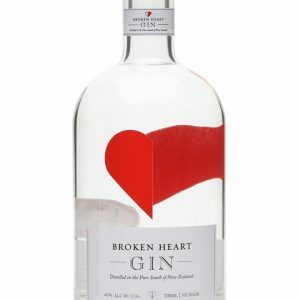 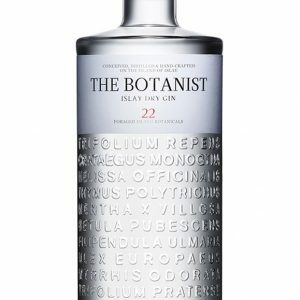 You should pair this gin with a good tonic, not only because it’s delicious, but it will change the colour of your drink to light pink, thanks to the blue pea botanical!